Advocate for some progress as a modern square dance caller who is expected to entertain your square dance! 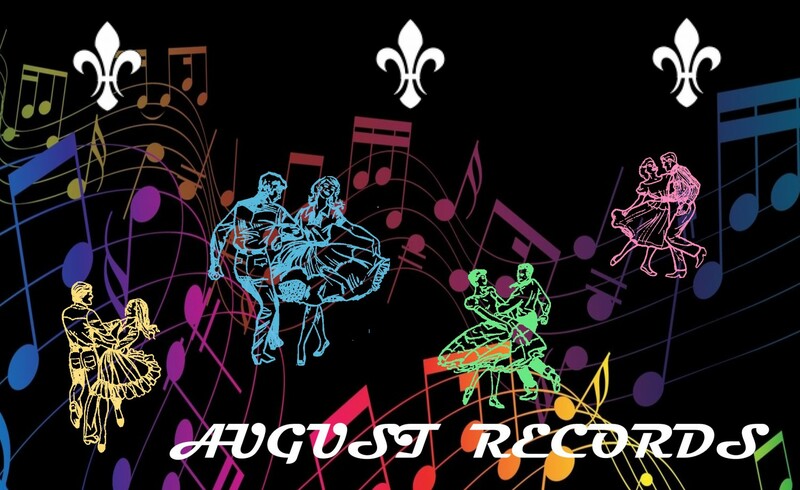 And make it a high priority to better connect your square dancers with vibrant progressive singing call figures! For a basic outlook on square dance calling, nationally most square dance callers have a tendency to get too comfortable calling the same sequences every time they call. This can create a repetitive problem if you only call locally, the dance program of singing call figures will sag in fresh and original ideas and the choreography can be all too predictable. There has never been a better time to change things up with a new singing call sequence or two to make the interest high so that the dancers cannot anticipate what is coming next and it provides opportunities to spring new and creative ideas in choreography on all. CALLING TIP! Hoedown calls offer the opportunity to introduce new and creative ideas in choreography for the dancers. Use this to chance to level the dance floor to the same plateau and strengthen dancers of all abilities at your dance! Enjoy using this with your square dancers! Square Dance Calling: Make The Most Of Your Goals! One strong focus for square dance callers to develop their abilities is to look for opportunities to improve within their personal boundaries of proficiency at various square dance events, whether that dance is a club based one, or a nationally recognized event. Improving in your calling takes a deep commitment and much research with hours 0f practice in many different areas and working with an experienced square dance caller teacher is essential to becoming a successful caller. How would you describe your square dance calling progress? What are the most important skills you’ve learned so far? What have been your most notable calling experiences? What is your favorite part of calling? Your least favorite? What is the one future task or type of project you would like to do more frequently in the square dance activity? What do you perceive as being something you do really well when you call? What are you recognized or complimented for most often? What are your unique talents and capabilities? Which of your successes in square dance are you most proud? For what do most dancers come to you for help? Define your precise goal with a desirable outcome. Include a description of your expected result or behavior. Upon accomplishment make an ending that you can see with tangible evidence of completion before you even start. Evidence of your goal achievement must allow for your own objective evaluation of its quality. Could other callers and dancers easily see the results of completing the goal? You will need a subjective opinion and evaluation to surmise the end result that you want. Always set goals that describe a set schedule that is focused on what you want to accomplish. There should be a clear path to the your strategy, your goals and all of your objectives. By doing this you will be optimally focused on a particular area, whether that is choreography, music, teaching, or any other specialized area in modern square dance. Support for any goal, including square dance calling, needs to be available and accessible. Mentoring and coaching helps to create a focused and effective answer to your expectations. As stated in the Focused attribute, your goals should not be too grand or too small, but they should be challenging and push you to improve. Look at what it will take to achieve your end result as a caller and how that will affect square dancing as a bigger picture. Gather any knowledge and skills required to move your abilities forward and ask yourself whether you will need support from a coach or mentor? Make certain that you will have sufficient resources and time given everything you are honed upon doing. If your goal is too lofty, you may not be able to achieve it. Conversely, ensure that your goal is going to be sufficiently challenging. Keep in mind that more simple goals are easier to attain and usually take less time to reach. Set a specific date by which you expect to succeed in your achievement. Is there a short term accomplishment that leads to a larger and more complete goal? Create a detailed breakdown in order to make that happen. Ensure the timeframe you encapsulate for your calling goal coincides with the performance period for which you are planning to make your goal a success. Ask yourself if your time schedule for your goal is realistic and will it be attainable within the amount of time you had in mind? You might have to adjust this to allow for a longer timespan to accomplish your goal. For example, if you wanted to learn how to call Advanced level square dancing, then you would have to learn to dance the choreography first, then continue on with learning to call at that level. This goal would take a while to accomplish, so you would need to schedule this end result out for about a year or two. If continued development is a priority for you, search for experienced callers that have a strong focus on effective improvement and provide the opportunity to let you grow within your square dance calling abilities. Attending a square dance caller school is a great way to establish your goals and recognize your weaknesses – and put together a working plan to succeed. A square dance calling coach will provide information and a plan regarding their focus on your development – you can also get feedback and direction that allows you to succeed! Call with any question you might have regarding square dance calling, I would be glad to help you! Square dancing has a long heritage and legacy that is still evolving to this day, much like all music and dance. Since both of these elemental traditions are combined to call a dance, using square dance choreography that is in the “classic square dance” meme will always be a home run when incorporated within your program. Further, two different ideas can recombine to produce a new and innovative idea involving elements of each choreographic parent idea. As a modern western square dance caller, you can present simple square dance singing call music and along with that build the choreography up in difficulty as the dance progresses and push the dancer’s ability up as the night unfolds. You can present both new and old music and new and old choreography and build a great progression in choreographic material with the hoedown patter portions of each tip. 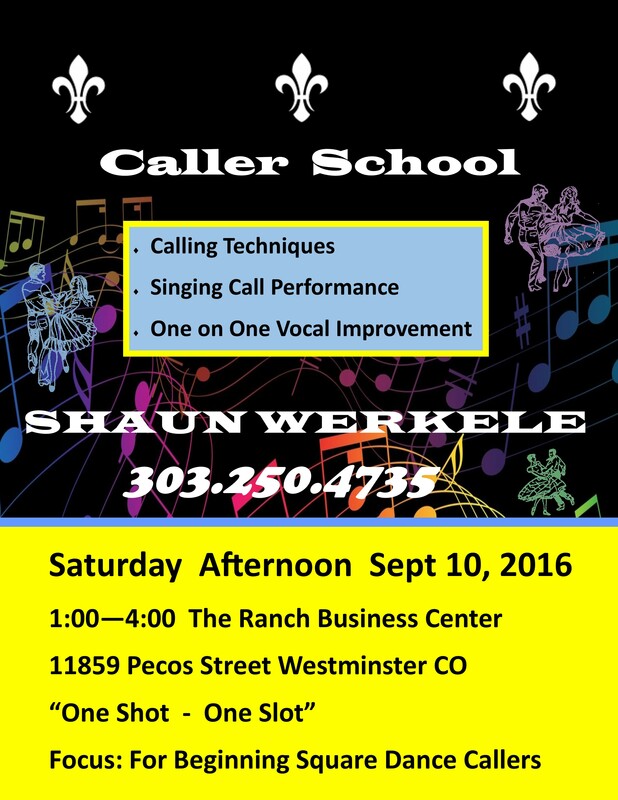 This is the best manner for making singing calls the most interesting and your overall program the most entertaining. Below are a few singing call figures that will help in making modern western square dance calling a Mainstream level dancing interesting and engaging. Changing the choreography as you do a singing call by slightly altering the same choreography figure is a great way to offer great variety throughout your program without getting super complicated. Another great aside is the dancers will have to listen more carefully and they will not be able to anticipate each calling sequence. CALLING TIP! Change the choreography in your singing calls to strengthen dancing ability and provide high interest in the overall program that you present! I personally like to use Circle Four Halfway and Circle Four Three Quarters as a nice change from the traditionally based Circle Four to a Line and verily, it adds a little spice to the night choreographically. If you do call a workshop tip within your night’s program, working in a couple of singing call figures that apply the choreographic ideas that were taught and then the reinforcement of that is a superb approach to rounding off the workshop! Feeling like you are in a square dance caller rut? Are you caught in the same calling habits without realizing it? Lots of things. When we as human beings slip into a rut, it is a very frustrating place to be. We want to groove, but sometimes too many things in our lives can bear down upon us and make everything that we do less gratifying and fulfilling. This is difficult to deal with and the distraction can make what you contribute as a square dance caller – in what you can impart to others through entertaining and all the other elements that sum up to calling can bring you down. Get together and talk to some other caller that you have met at a square dance event or you know personally and chat work for a while. Talk about anything, from casual conversation to a deeper discussion about something you really care about. You will be surprised at how the short encounter can be rejuvenating in its own way. Share ideas and square dance experiences, problems you have encountered and how you might overcome a particular problem. You can discuss equipment, choreography and anything else that you want. One of the great things about attending the National Square Dance Convention is the opportunity that is offered through seminars that typically take place over the course of those few days that involve cooperative discussions, knowledgeable speakers, and individual opportunities to combine perspectives and issues relating to square dance calling. Attending any of these panels and learning sessions has numerous benefits, including improving your use of choreography, gaining expert knowledge and insights, networking with other square dance callers and renewing your motivation and confidence. Interrelating with new people within your field. Make opportunities to share your ideas and get immediate feedback from other credible individuals who share your vision and goals. Continuous training, education and exposure to new people and ideas in the activity of square dance can lead to continuous personal improvement, self motivation, and better engagement. Workshops, seminars and panels add to your skill set and competency as a professional who calls square dances on a higher capability level. Caller schools need to be a part of your improvement schedule, and guess what? They are a lot of fun to attend. Social networking, having the guidance and oversight of an experienced and supporting teacher, and reveling in the positive energy that is part of a caller school make attending well worth your while. Perhaps if you are continuously getting in a rut with your square dance calling progress and improvement, maybe there’s no vision inspiring you to move forward. Think about why you are doing this in the first place, and what you are doing it for? What is the ultimate goal that you have in mind? Make that as vivid as possible. Make sure it’s something that inspires you and use that to trigger you to action. A caller coach can help you reassess your goals and what you want to get accomplished. Further, a square dance mentor will help you achieve those goals by giving you the means and materials to push you to your next level upward and advance your ability. And that is what is so great about enlisting someone who can teach you the right things to work on. Callers do not normally stop and ask themselves, “Does this really matter to me?” And that is a shame, because slowing down and giving yourself fewer to-do’s leaves more room in your brain and time on your schedule for various new ideas to sprout — so you have more energy to focus on the rest of your life. Keep in mind if you have someone else coaching and teaching the things that you focus on then those things will not feel like have to’s – if you get help managing things and you upgrade your attitude toward them. You can make have to’s become want to’s. You will return to your practice and improvement recharged and ready to start. You will feel as if you have taken your calling to a new level with the help of a square dance caller trainer, and contrary to popular belief, the square dance world will not end from you taking a short break from it if you need to. In fact, you will be much more ready to make an impact after you have recharged and learned some new square dance tricks. My best ideas and inspiration always hit me whenever I pull back and take a short break. If you are in a creative and performing rut, the last thing you want to do is step on your own toes with perfectionist tendencies. Just start small. Do what you can, at your own pace. Let yourself make mistakes. Fit some square dance education slots into your calendar. Before long a little trickle of ideas and inspiration will come to you. And then it will build up with more ideas and inspiration. Before you know it, you have a whole stream of ideas. Throw in some guidance and you are on your way. This approach is stress free and presently it may be the pace that you need to take. Mission Statement: The purpose of this post is to create a greater visibility of the square dance activity for future dance population growth on a national and local level. The coaching information provided here serves as a source for square dance calling education training and perspectives on dance. Future articles will be developed to improve the programs of square dancing and how those learning to square dance call can help contribute to the preservation of both modern western square dancing and traditional square dancing and to aid in the growth of the square dance activity. Alluring – the state or ability of being attractive – is a simple definition with an involved and broad scope of meaning. Beautiful. Appealing Fascinating. Singing call figures that can be alluring to the caller might not be the best for the dancers to enjoy the most. Choreography that is too involved is NOT always the best to use because of dancer breakdowns on the floor that put off overall dancer success. So alluring choreography is really set by the dancers in their level of success, not you, the square dance caller. So keep that in mind when you use your singing call figures, and consequently, even hoedown choreography. You should always encourage square dancers to dance only at their comfort level so that they are reasonably at ease and relaxed while they dance. Perhaps the ultimate golden rule in square dance calling is make sure that you use your discretion when deciding how much the dance floor as a whole can take on in regard to square dance choreography. This is one of the hardest things to do well as a square dance caller. CALLING TIP! Arrive early enough to comfortably set up your sound system for the square dance and call the round dance cuer scheduled to determine if you will need to bring any other equipment for the dance. Or try this Zoom variation…. As always, feel free to call me if you have a square dance calling question or anything else I can help you with!